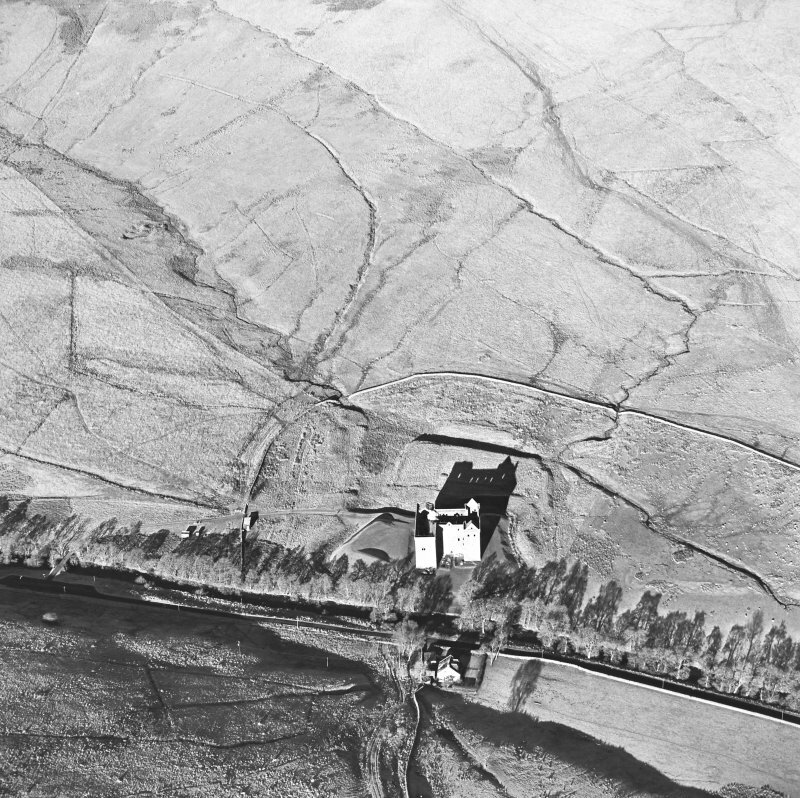 Oblique aerial view of Hermitage Castle centred on the remains of a castle, taken from the SSE. Description Oblique aerial view of Hermitage Castle centred on the remains of a castle, taken from the SSE. >> Item Level (SC 1668300) Oblique aerial view of Hermitage Castle centred on the remains of a castle, taken from the SSE.